The Amazing Spider-Man 2 is in some ways much better than its predecessor. This is somewhat of an amazing feat, since The Amazing Spider-Man 1 is a much more coherent film. The trick is that The Amazing Spider-Man 2 mines emotional depths that it's predecessor did not, and goes to dramatic places not typically found in comic book movies. Unfortunately, the film mines these depths at the expense of a cohesive plot. Though special effects sequences and the rogues gallery casting rumors often get the most pre-release hype for a movie of this time, the real story of The Amazing Spider-Man 2 isn’t about a diabolical plans to take over the world. The real story is about Peter Parker (Andrew Garfield) graduating from high school, and how he and his girlfriend Gwen (Emma Stone) try to figure out directions in life. The story is about Peter and Aunt May (Sally Field) making ends meet on pink collar wages. It’s about coming to terms with grief. Even the villains have motives that align with issues found in support groups. Had the filmmakers gone a step further, The Amazing Spider-Man 2 could have been a really effective drama pretending to be a superhero film. It could have been brilliant. As it stands, The Amazing Spider-Man 2 isn't perfect. Three major villains is too many. The main billed villain is Electro (Jamie Foxx) who can control - wait for it - electricity. Max Dillon is a lonely electrical engineer at OsCorp, when a freak accident and many misunderstandings turn him into the aforementioned baddie. It’s difficult to tell how long the Electro storyline takes place over. What seems like a day for Electro, feels more like a week of development for Peter and Gwen. It becomes easy to suspect some scenes were left on the cutting room floor. Harry Osborne is well drawn, but his villainous counterpart appears someone abruptly. The Rhino (Paul Giamatti) shows up at the film’s bookends, largely for comedic relief and really is nothing more than a sequel tease. The Amazing Spider-Man 2 is worth seeing, though it’s probably necessary to see the first film to get full understanding of it. At this point it's somewhat of a given that audiences should have a passing familiarity with the source material and previous film installments. Even armed with preexisting knowledge of Spider-Man lore, this film's plot is disjointed. Unfortunate given the dramatic highs of the Peter and Gwen love and coming-of-age story. Where this series is going to go next is anyone's guess. Sony originally planned multiple spin-offs in the Spider-Man universe, which are now in limbo thanks to the middling box office performance of this film. I remember when the original Spider-Man came out in 2002. It was fun, it was exciting and it was fresh. A decade and a series reboot later, the Spider-Man films are still good, if more and more flawed. I haven’t revisited in the originals in sometime, though their flaws were likely hidden by a much less crowded superhero marketplace at the time. It’ll be interesting to see how well this film holds up in a decade (and a decade more of superhero films) from now. 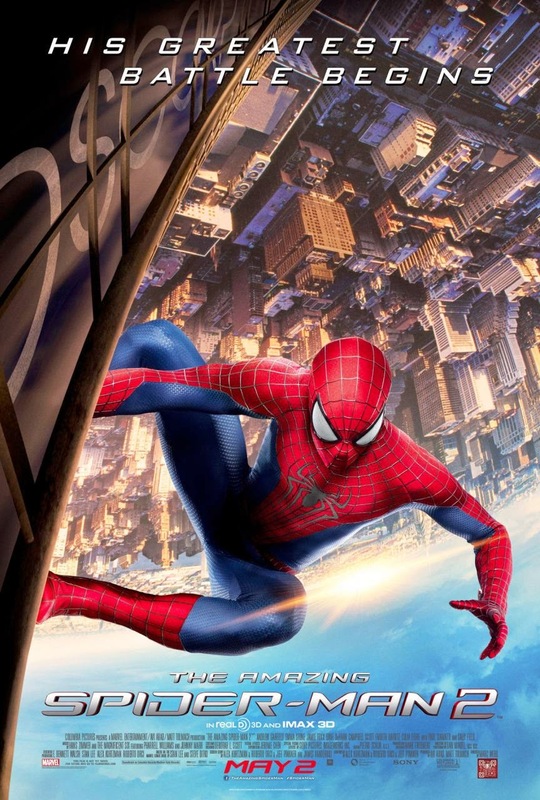 The Amazing Spider-Man 2 was directed by Marc Webb and written by Alex Kurtzman, Roberto Orci and Jeff Pinkner.